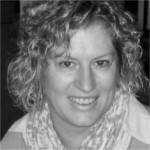 Dr Jeanni Fehrsen has been employed by the Agricultural Research Council at the Onderstepoort Veterinary Research Institute for nearly 30 years. Her work focuses on investigating B cell antigens as well as immunoglobulins and their genes. Novel immunological reagents aimed at monitoring disease progression, vaccination efficacy and diagnostics are developed. Phage display is used to isolate recombinant antibodies and map epitopes on proteins. Random peptide libraries as well as gene- or genome-targeted peptide libraries are used to find antigenically important epitopes and even their encoding genes. The identified proteins are expressed in bacterial or mammalian expression systems. Using the patented technology platform, recombinant antibodies derived from chicken immunoglobulin genes, single chain variable fragments (scFvs) against a large variety of haptens, proteins and viruses have been isolated. The antibody repertoire has been expanded to include scFvs derived from ostrich immunoglobulin genes. These scFvs have been incorporated into immunoassays, such as ELISAs and lateral flow tests. Some have been engineered to improve their binding, while others were reconstituted to antibody-like molecules (gallibodies) and expressed in a mammalian expression system. In addition, immune libraries are constructed tailored to client specifications. Binding characteristics of the scFvs and their target (or any two binding partners) can be analysed by surface plasmon resonance on a BiacoreX.